Hunting boots are one of the most essential gears when you are in the woods, and need to focus on hunting, rather than struggling with your shoes or worrying about the terrain. There are a wide variety of style and features available in the market today, making it overwhelming to find the right hunting pair to match your needs. Before buying your next pair of shoes, there are few considerations you should keep in mind like durability, insulation to provide you warmth in extreme weather environments, ease of taking them on and off along with material used and type of sole and lace. Height is another important consideration to keep in mind. While ankle length boots are more flexible and easier to walk long-distance in, high knee-boots provide extra support when you are carrying heavy weight and keep snow and debris out helping you stay warm, dry and comfortable. 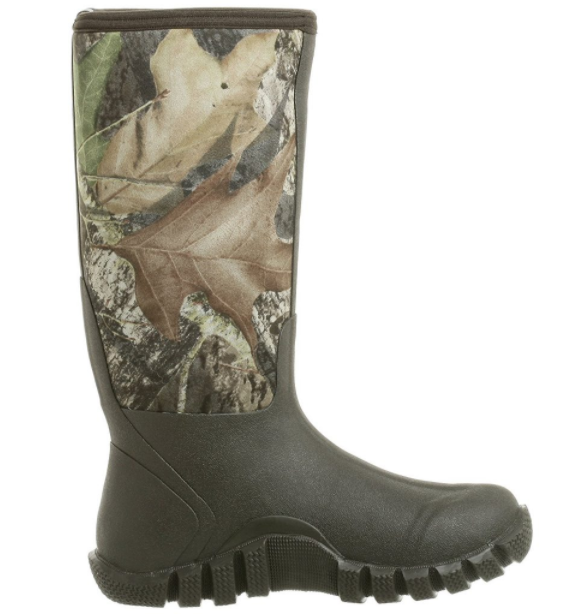 If you are planning to hunt in swampy areas or snow, it is best to opt for waterproof design. Rubber construction are 100% waterproof. However, rubber can make it difficult for your feet to breathe. GoreTex material might be little expensive but offer great combination of waterproofing and breathability. 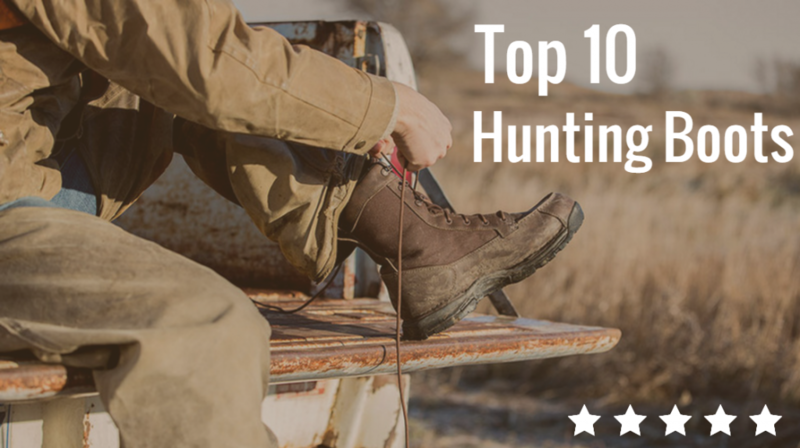 To help you find the right hunting boots, we made a list of our top picks based on reviews, specifications and features. 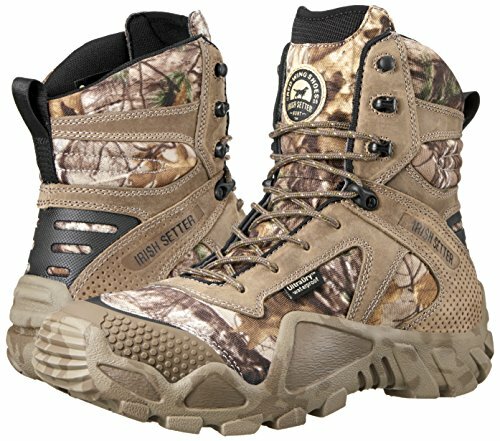 This Vaprtrek is the ultimate hunting boot meant for the toughest terrain with authentic hunting boot look. This is a very durable pair meant to last for a very long time in the toughest hunting conditions. 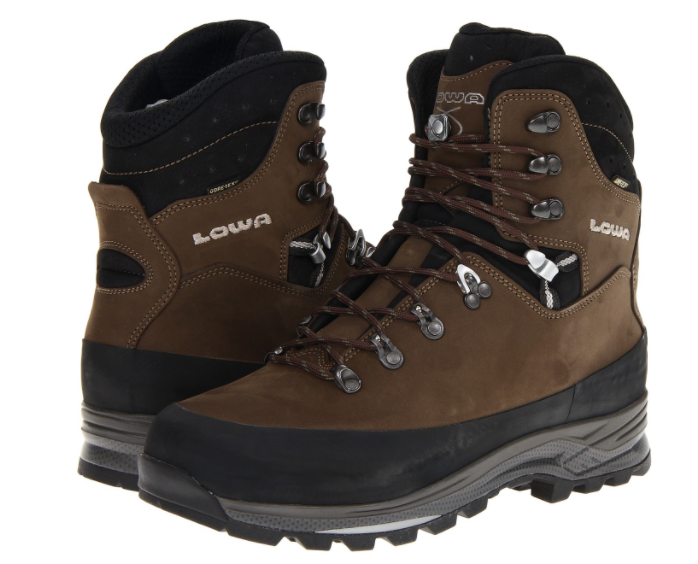 One of the most popular hiking and trekking boots, the Lowa pair are great ankle-height leather boots meant for relatively dry or rugged terrain. They deliver performance, quality and durability that won’t disappoint anyone. If you are looking for a heavy-duty long lasting pair, the Bugaboot Plus III you should take a look at the Bugaboot Plus III. These ankle high boots are designed specially for freezing cold weather, featuring Omni-Heat reflective lining with 200g insulation that can withstand sub zero temperatures easily. They score very well on durability and comfort, however are relatively heavier due to the insulation. From the industry leaders in manufacturing hunting boots, the Muckboots Adult FieldBlazer are unisex hunting boots that deliver all-round comfort and performance. These stylish knee high boots are perfect for any terrain, as they are completely waterproof and can handle extreme conditions with temperature resistance. features 4-way stretch nylon, flexibility and buoyancy while still being light in weight. Temperature resistance that are advertised to withstand a whopping -85F. Built for comfort, durability and warmth, the Classic High Camo Winter Snow Boots are perfect all-year round rubber boots. 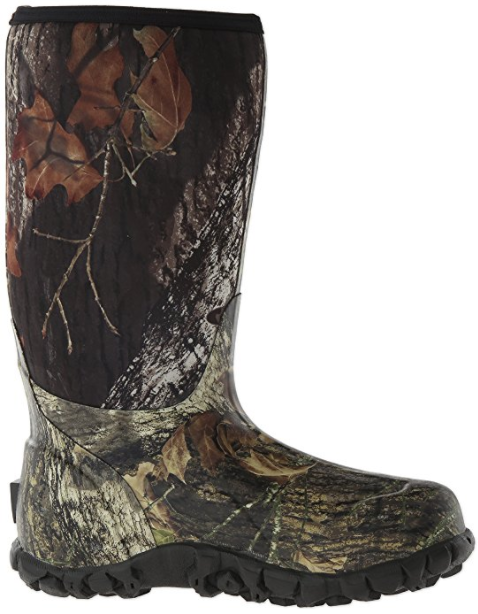 These camouflage boots are easy to wear, fit amazingly well and are designed with a high cut, so that you can go hunting without worrying about mud, snow or swampy terrain. 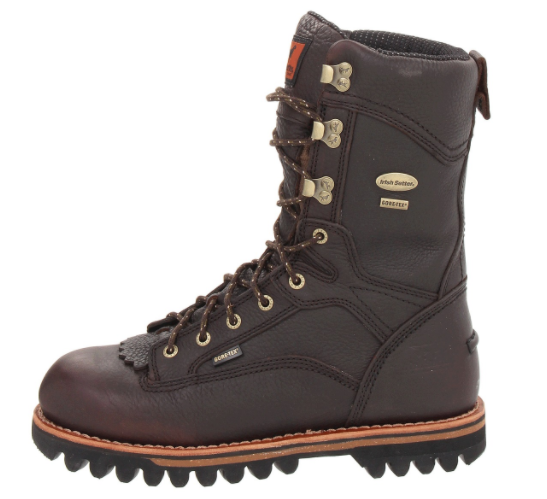 These boots provide extreme cold protection in temperatures upto -40F. 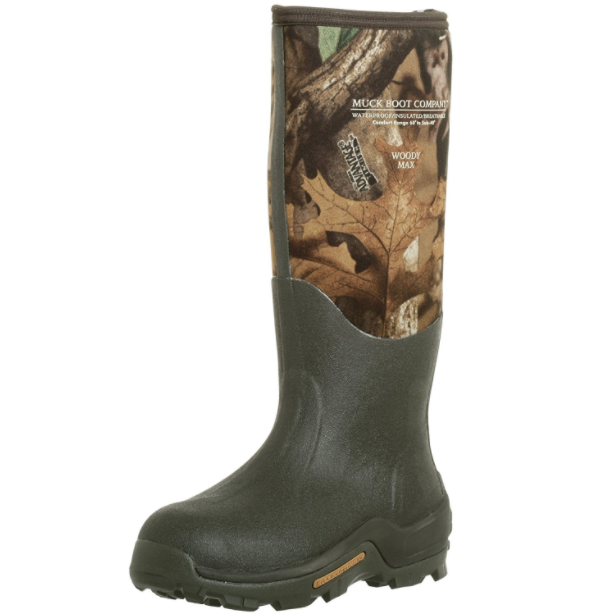 These LaCrosse hunting boots are one of the most popular rubber boots thanks to its versatility and comfort. These high-knee boots are made from superior quality neoprene with excellent sole and 100% waterproof design. Tall booths perfect for wet terrains with mud, sludge or snow. As the name suggests, these are undeniably one of the toughest boots made for the harshest and rocky terrain, so that you do not need to worry about challenging grip or comfort. 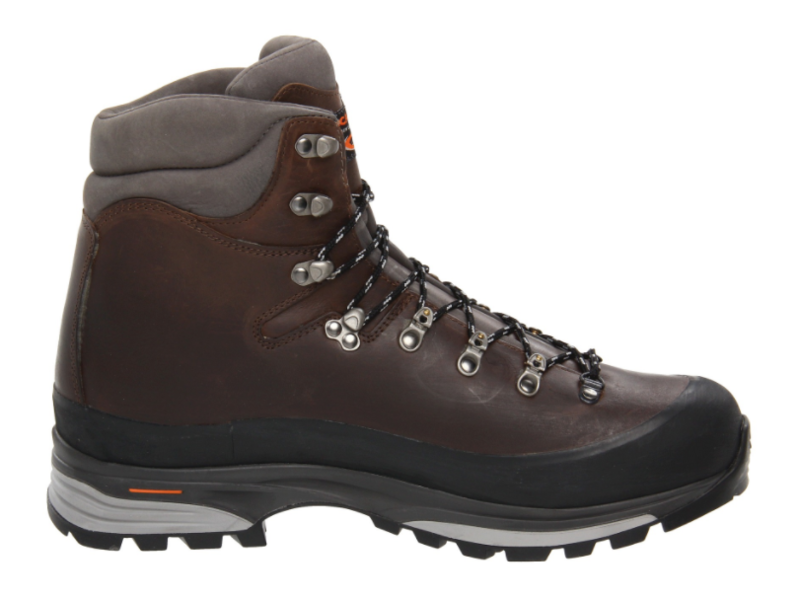 Made from tough, waterproof leather, they have the authentic hiking boot look. 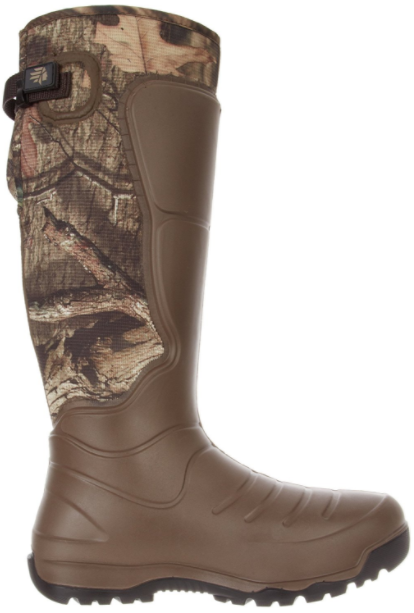 These unisex hunting boots are great for multi terrain, that live up to its name. 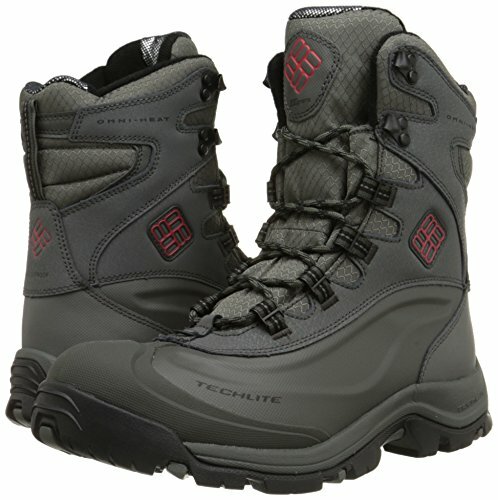 They are built to keep you toasty and dry in all terrains and weather, while providing you right support and durability. From the house of Irish Setter, these boots provide great value for money with great comfort insoles and tough outsole meant to last for years. 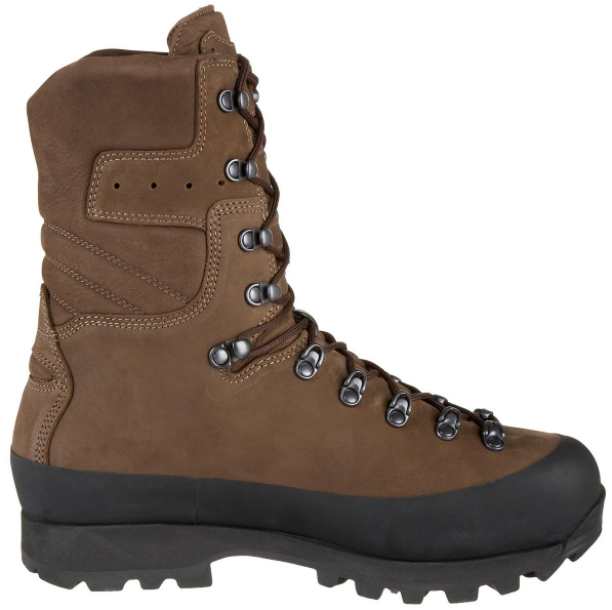 These might not be the top available boots and are relatively heavier, however they are great for the price with superior quality and durability. These leather finished boots have a stylish yet classic look. It offers great combination of top grade material with superior workmanship and performance. Manufactured in Europe, they are quite rugged to be used in all terrains with design that will look great for casual wear too. Before buying hunting boots, it is always a good idea to list down the terrain you will be hunting on, weather conditions, and other features required. This will give you a fair idea about what to look for when closing down on the right pair and features required. Also, once your shoes arrive, do not wait for the hunting season to try on the new pair. Give yourself sometime at home to get used to the new pair, so that you have time to get comfortable in them and know what to expect.